The Orion crew module pressure vessel for NASA's Exploration Mission-1 (EM-1) arrived today at the Shuttle Landing Facility operated by Space Florida at NASA's Kennedy Space Center in Florida. Arrival of the module marks an important milestone toward the agency's journey to Mars. 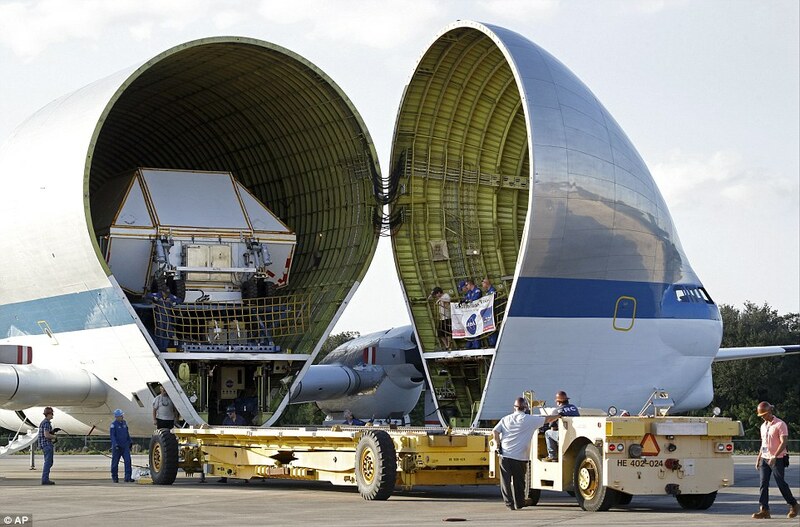 The crew module arrived aboard the agency's Super Guppy aircraft from NASA's Michoud Assembly Facility in New Orleans. Welding work on the pressure vessel, which is the underlying structure of the crew module, was completed at Michoud. The crew module was offloaded from the Super Guppy and readied for transport to the Neil Armstrong Operations and Checkout Building high bay for processing. In the high bay, NASA and Orion manufacturer Lockheed Martin will outfit the crew module with its systems and subsystems necessary for flight, including its heat-shielding thermal protection system. NASA's Space Launch System rocket will be the largest rocket ever built. It will carry the Orion spacecraft on EM-1, a test flight scheduled for 2018. During EM-1, Orion will travel thousands of miles beyond the moon over the course of a three-week mission.